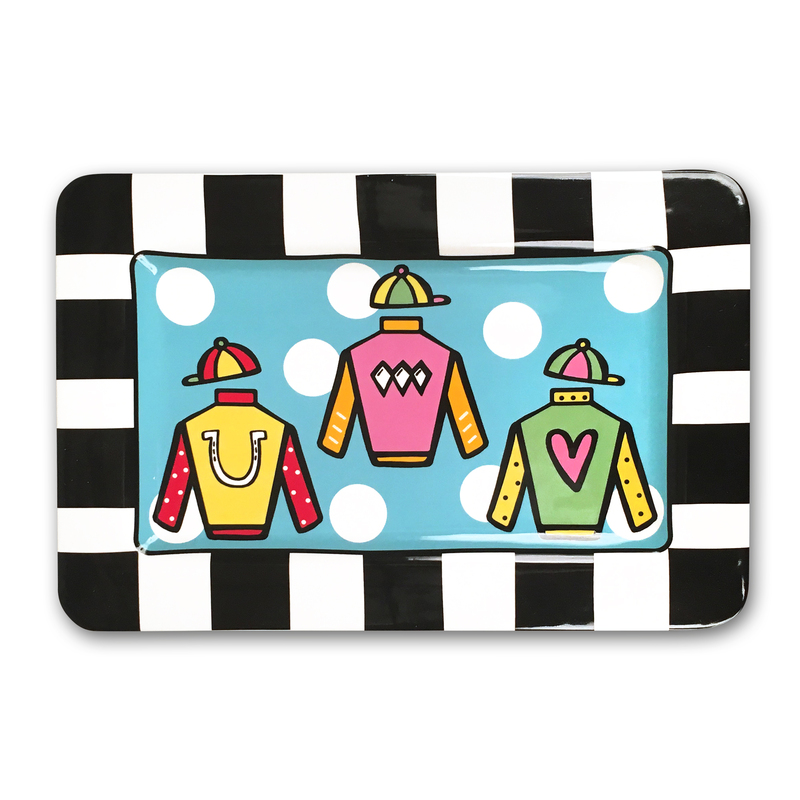 A perfect accessory in your kitchen when entertaining for the derby! 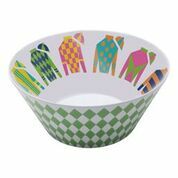 Ready for all sorts of chores, from soaking up a spill or drying the dishes, this 100% cotton dish towel passes the test. 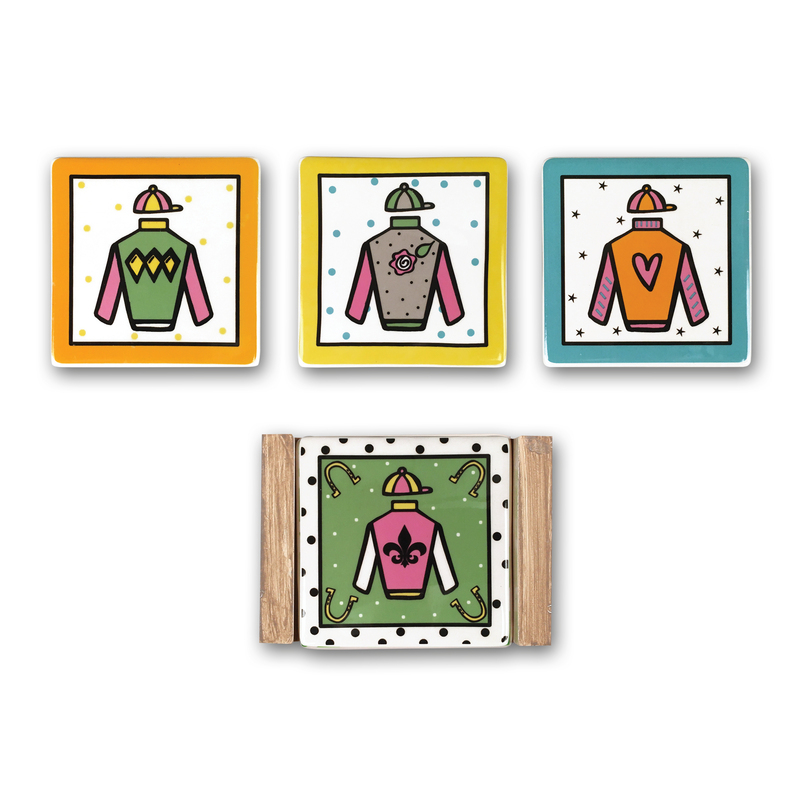 Embellished with colorful derby silks, these versatile towels are perfect for the Kentucky Derby or all year round. 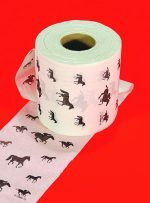 Measures 25×19; when open, machine washable. 100% cotton dish towel passes the test. 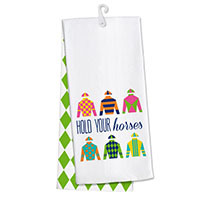 Embellished with colorful derby silks, these versatile towels are perfect for the Kentucky Derby or all year round.